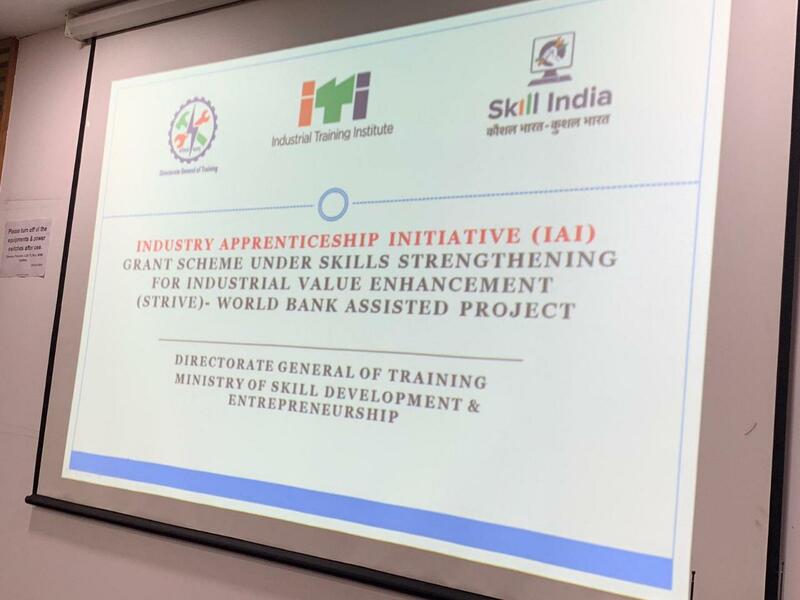 Ministry of Skill Development & Entrepreneurship, Government of India is offering Industry Apprenticeship Initiative (IAI) Grant to Industrial Clusters of the country to strengthen apprenticeship training within the Industries of the Industrial Cluster. The said grant is allocated by the STRIVE Project of World Bank and it has to be channelized and monitored by the Directorate of Employment & Training of the respective State Governments. Vapi Industries Association (VIA) with its continuous effort to strengthen the existing workforce and to generate skilled personnel for the Industries Members earlier decided to approach the Employment and Training Department of the State of Gujarat to avail the IAI grant and accordingly with the support and guidance of ITI Pardi sent a proposal along with the filled up form and supporting documents as prescribed to avail the facility. With great pleasure and pride it is to state that the Ministry of Skill Development & Entrepreneurship, Govt. of India has approved the proposal of VIA and thus a grant up to Rs. 1 Crore is sanctioned under the scheme. VIA is one of the only 2 industrial clusters selected for this grant from the entire state of Gujarat. This is been achieved by the selfless and hard work done by the Office Bearers and their Team. Shri Satishbhai Patel, Hon. Secretary took the initiative to prepare the entire proposal along with the prescribed form and submitted the same on 14th February 2019. Thereafter Shri Hemang Naik, Jt. 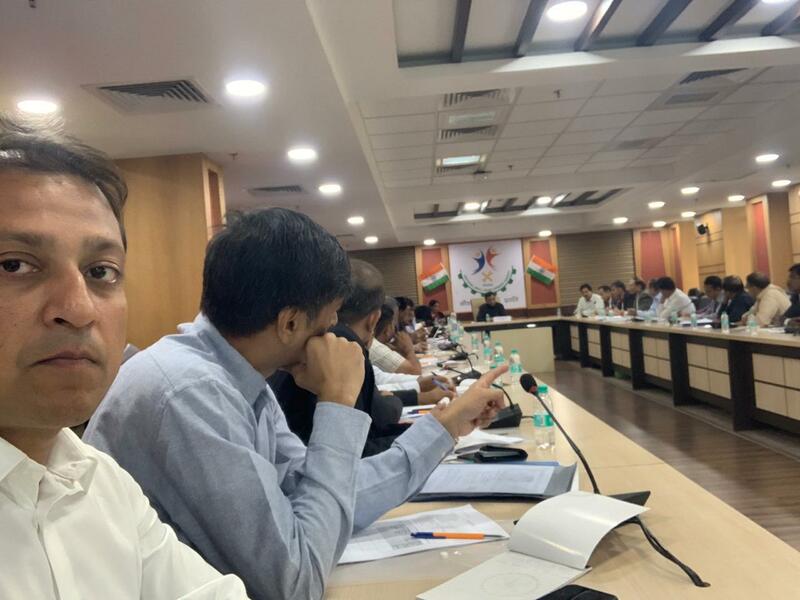 Secretary of VIA has earlier attended a meeting organized by the Directorate of Employment & Training, Government of Gujarat on 21st February 2019 at Gandhinagar and gave a complete presentation on the project. On the basis of the proposal and the presentation, VIA became eligible and got selected for the grant. 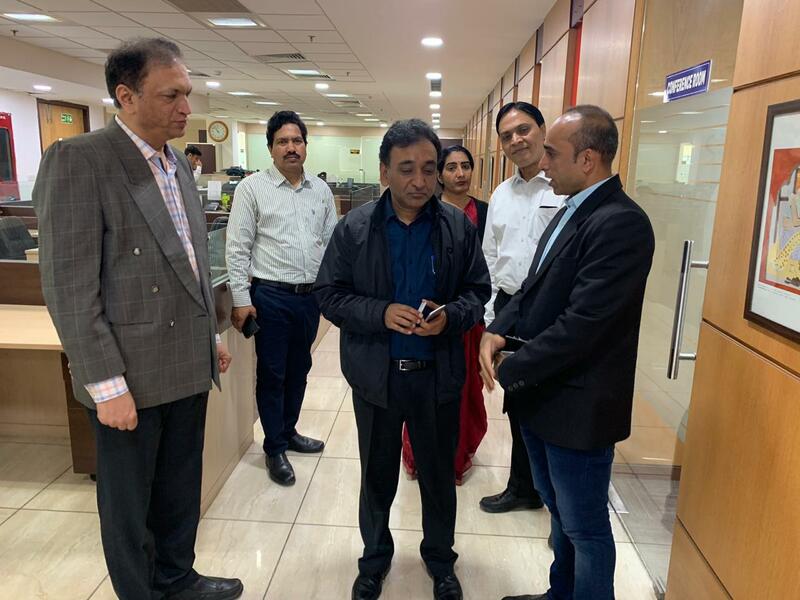 Now today, 15th March 2019, Shri Prakash Bhadra, President, VIA along with Shri Chetan Patel, Chairman – Water Committee, VIA & Director, VGEL and Shri Kalpesh Vora, Chairman – Green Society, VIA is attending a Technical Workshop on IAI under STRIVE Project and during this workshop a tripartite agreement will be signed between the Ministry of Skill Development & Entrepreneurship, Govt. of India, State of Gujarat through the Director, Employment & Training, Govt. of Gujarat and Vapi Industries Association (for Vapi Industrial Cluster) through the President of VIA. Immediately after signing the Tripartite Agreement a part of the grant (40%) will be disbursed towards initial expenses of the project. This is going to give a big boost to the training and skill development activities within and around the Vapi Industrial Estate to generate adequate skilled manpower.